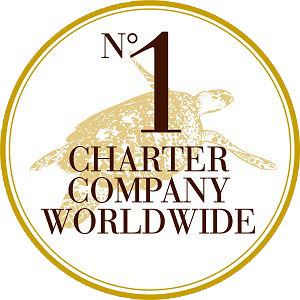 The charter boat industry had its beginnings in the Mediterranean and Caribbean in the early 1970s. Since then, the industry has expanded, with charter fleets successfully operating from some of the world’s most beautiful sailing grounds. The charter boat industry is very strong in Australia – especially in Sydney and the Whitsundays, North Queensland – and it is now experiencing strong growth in the Asia Pacific region. The majority of boats in the charter fleets are not owned by the charter operators but by private investors. This allows owners to operate their boats as a business to generate an income, while also enjoying regular holidays on their own or similar vessels. Most often, charter vessels are hired for sailing holidays from five to 14 nights (less than five nights is not cost-effective in terms of boat turnaround costs etc.). A common term for this is ‘bareboat charter’, which simply means chartering a boat without a crew. What exactly is bareboating? Extensive briefings are given by professional skippers pre-charter, including training on the boat’s equipment and a familiarisation of the sailing ground the boat operates in. Bareboating is a great option for clients with sailing experience who want to explore a cruising area with their own friends or family, at their own pace. Often, larger vessels are chartered with a fully qualified crew, including a skipper and deckhand/host, allowing charterers to sit back and relax while they are guided effortlessly through their sailing holiday. The crewed option is available to all charterers, who might want a crew just for a day or two while they rediscover their sea legs. The kind of boat you purchase will depend on a lot of things, including your sailing experience, how you intend to use the boat when holidaying and of course your budget and expected income. Not too sure which vessel to choose? Find more information about Catamarans, Monohulls and Power Boats here.